This guide discusses the new law and provides helpful practice tips for employers. Does the new law apply to all restrictive covenants? What workers can and cannot be covered by noncompetes under the new law? Are independent contractors covered by the law? When may an employer provide a noncompete to a new hire? When may an employer provide a noncompete to a current employee? Is there any specific language that must be included in the agreement? What consideration must the employer provide in order to support a noncompete? Does the new law place any limits on the duration, geographic reach, or scope of enforceable noncompetes? 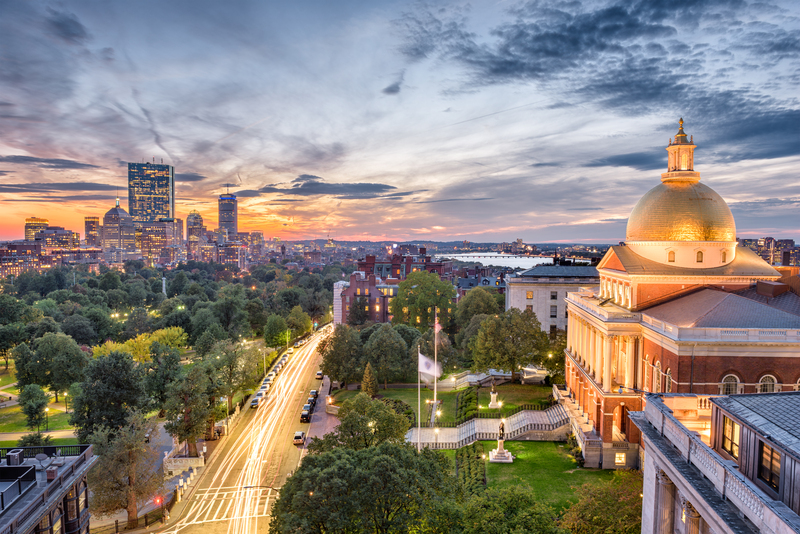 Does the law change Massachusetts’ status as a permissive “reformation state”? Can employers contract around the new law using choice of law and choice of venue provisions? 1. Does the new law apply to all restrictive covenants? No. The new noncompete law only applies to noncompete agreements (including forfeiture for competition agreements) entered into in the employment context on or after October 1, 2018. Common law will continue to govern those agreements. Statutory reference: G.L. c. 149, S. 24L(a). An employer entering into a noncompete agreement with an employee in connection with a sale of business should carefully and expressly tie the noncompete to the sale transaction (not the employment relationship) if it wants to avoid the requirements and restrictions imposed by the new law, including its 12-month cap on noncompetes. 2. What workers can and cannot be covered by noncompetes under the new law? An agreement containing an unenforceable noncompete may be enforceable as to its other terms. In addition, a court may impose noncompete restraints on any protected worker (listed above) through preliminary or permanent injunctive relief or otherwise as a remedy for a breach of another agreement or statutory or common law duty. Statutory reference: G.L. c. 149, S. 24L(c). Public policy considerations as to protected workers: Although the law applies only to noncompete agreements entered into on or after October 1, 2018, it may affect courts’ willingness to enforce noncompetes against low-wage earners and other protected workers as a matter of public policy. Employers should consider possible public policy arguments when deciding whether to litigate their existing noncompetes against these types of workers. Springing noncompetes as a judicial remedy: The law permits courts to impose noncompete restrictions against protected workers who have breached their other contractual, statutory, or common law duties. Employers should therefore consider including language in their employment agreements that expressly provides for the judicial remedy of a noncompete in the event of a breach of the employee’s other restrictive covenants (e.g., nonsolicitation, no-hire, and nondisclosure agreements). Layoffs and other terminations not “for cause”: With respect to layoffs and other terminations not “for cause,” employers may elect to include noncompetes in their severance agreements (in which case they will likely have to negotiate a severance payment). In this case, the employer may avoid application of the noncompete law by providing the employee with seven (7) days to rescind acceptance of the noncompete (in which case, common law will apply). 3. Are independent contractors covered by the law? Yes, the law defines “employee” to include independent contractors. Because of the expansive application to independent contractors, workers should review any form service contracts that include noncompetes. 4.When may an employer provide a noncompete to a new hire? With respect to new hires, an employer must provide the noncompete at the earlier of either: (a) at or before the time of a formal offer or (b) 10 business days before the commencement of employment. Statutory reference: G.L. c. 149, S. 24L(b)(i). 5. When may an employer provide a noncompete to a current employee? Statutory reference: G.L. c. 149, S. 24L(b)(ii). 6. Is there any specific language that must be included in the agreement? Statutory reference: G.L. c. 149, S. 24L(b)(i)&(ii). 7. What consideration must the employer provide in order to support a noncompete? For employers that choose the garden leave option, the law specifies that garden leave: (a) must be paid on a pro-rata basis for the duration of the noncompete period; (b) must comprise at least 50 percent of the employee’s highest annualized base salary paid by the employer during the last two years of the employee’s employment; and (c) may not be unilaterally discontinued by the employer absent a breach by the employee. Additionally, the law provides that, in the event the restricted period is extended because the employee has breached his or her fiduciary duty to the employer or unlawfully taken the employer’s property, the employer is not required to pay garden leave during the extension of the restricted period. With respect to noncompetes executed during the course of employment (after hire), the law requires that the noncompete be supported by “fair and reasonable consideration independent from the continuation of employment.” The law, however, is silent as to what “fair and reasonable” means. Statutory reference: G.L. c. 149, S. 24L(b)(ii)&(vii). Because the law is silent as to what (besides garden leave) would be sufficient to support a noncompete, the issue is poised to become a hot-button topic in litigation. For current employees, continued employment, alone, is no longer sufficient to support a noncompete. What is “fair and reasonable,” however, is open for interpretation by the courts. For now, employers should consider expressly pairing their noncompetes with a promotion or some other benefit (e.g., a bonus) for current employees. With respect to new hires, there is some ambiguity in the statute as to what comprises consideration to support a noncompete. Noncompete agreements for new hires should expressly state that the employee’s employment and the benefits that come with employment (i.e., compensation, bonus(es), stock options, receipt of employer’s trade secrets) are made in consideration for the employee’s noncompete. Employers might also consider expressly pairing the noncompete with a sign-on bonus. 8. Does the new law place any limits on the duration, geographic reach, and scope of enforceable noncompetes? Yes. The new law places a 12-month cap on noncompetes (subject to an extension up to one year to address instances in which the employee has breached his or her fiduciary duty to the employer or unlawfully taken the employer’s property). The law also creates a presumption of reasonableness for noncompetes that: (a) are limited to only the geographic areas in which the employee, during the last two years of employment, provided services or had a material presence or influence; and (b) are limited to the specific types of services provided by the employee during the last two years of employment. Additionally, as it was under the common law, noncompetes must be no broader than necessary to protect the employer’s legitimate business interests (trade secrets, confidential information, and goodwill). The law creates a presumption of necessity where the legitimate business interests at stake cannot be adequately protected through an alternative restrictive covenant. Statutory reference: G.L. c. 149, S. 24L(b)(iii)-(vi). Aside from imposing a 12-month cap, the law does not substantially change common law requirement that noncompetes must be reasonable in duration, geography, and scope. Statutory reference: G.L. c. 149, S. 24L(d). 10. Can employers contract around the new law using choice of law and choice of venue provisions? No choice of law provision that would have the effect of avoiding the requirements of this section will be enforceable if the employee is, and has been for at least 30 days immediately preceding his or her cessation of employment, a resident of or employed in Massachusetts at the time of his or her termination of employment. All civil actions relating to employee noncompetition agreements subject to this section shall be brought in the county where the employee resides or, if mutually agreed upon by the employer and employee, in Suffolk county; provided that, in any such action brought in Suffolk county, the superior court or the business litigation session of the superior court shall have exclusive jurisdiction. Statutory reference: G.L. c. 149, S. 24L(e)&(f). This article was written by Hannah T. Joseph.